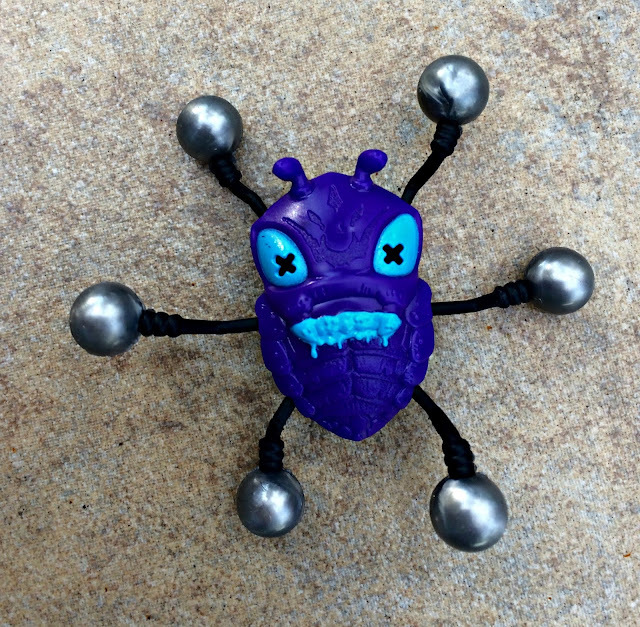 There are some creepy crawlers on the loose and its up to you to hunt them down with the X-SHOT Bug Attack Value Pack from Zuru Toys. 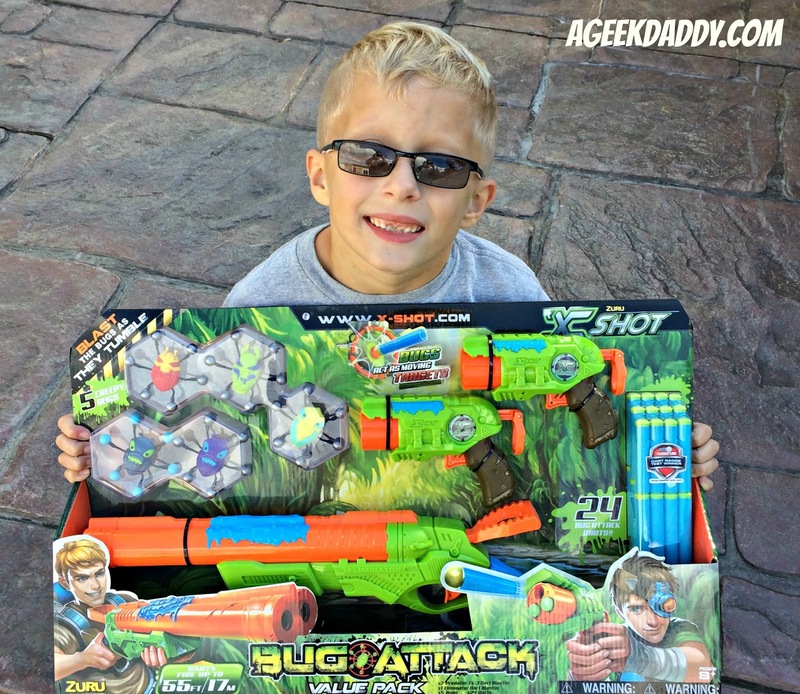 It comes with a Eliminator Double Barrel Dart Blaster, 2 Predator TK-3 Dart Blasters, 24 foam darts, and 5 bugs. 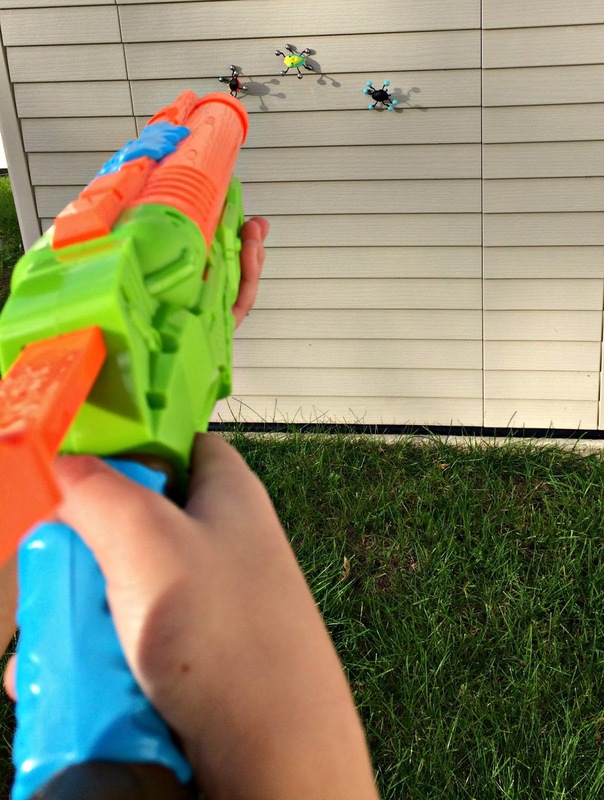 Do you have the aim to knock off all the bugs as they crawl down a window or wall? 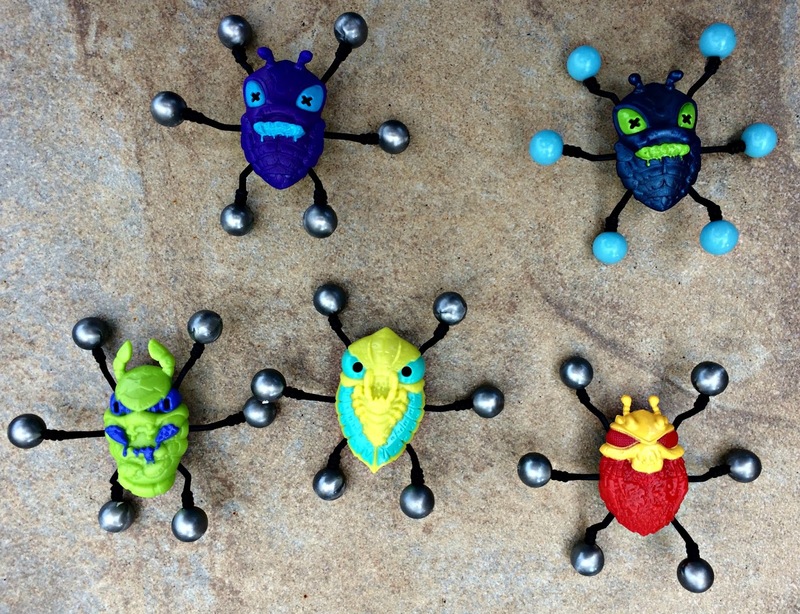 These aren't just menacing looking insects though! These bugs have special sticky feet that will allow them to slowly flip over and over again down a surface. Toss the bugs at a wall and watch them crawl! 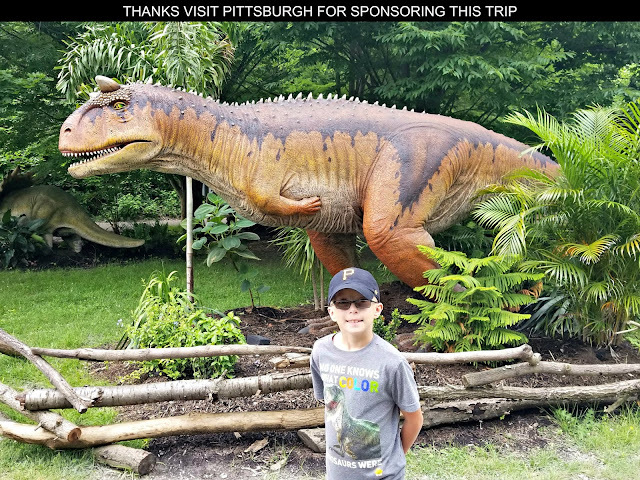 Can you score a bulls eye to stop one of these creepy crawlers in its tracks? 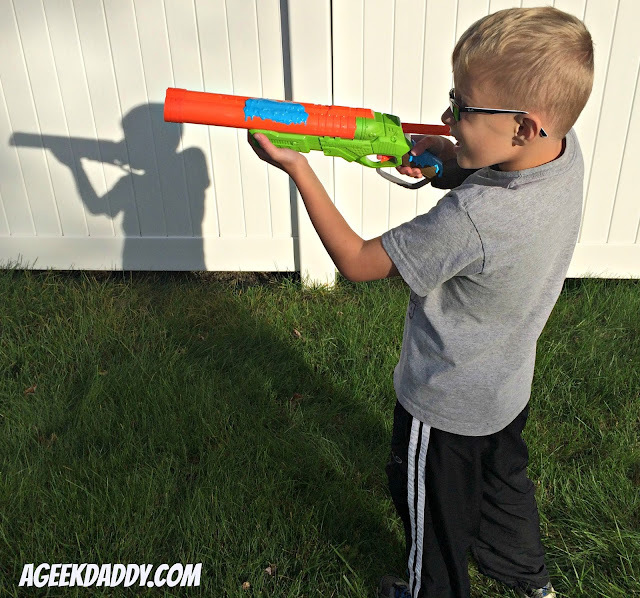 The bugs are moving targets when you play with these foam dart blasters. The two TK-3 Blasters are each front loaded with a three dart ammo capacity. 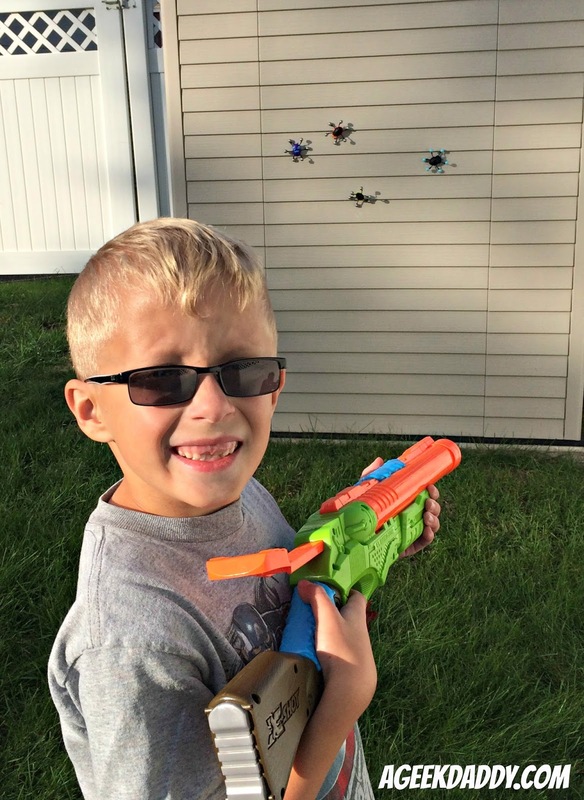 Swivel the barrel with your hand to prepare a foam dart to be shot, pull back the safety to arm the blaster, and touch the pressure sensitive trigger to fire a round at a creepy crawling bug. The Eliminator provides double barrel action. Load in two darts and fire them off one at a time. With either blaster type, darts can be rapidly launched by quickly swiveling, pulling, and pressing to get them to fire. While these blasters don't have cartridges to load up multiple darts at once, these toys also don't jam up and the darts last longer because they aren't getting bent and mangled as they are being shot out. 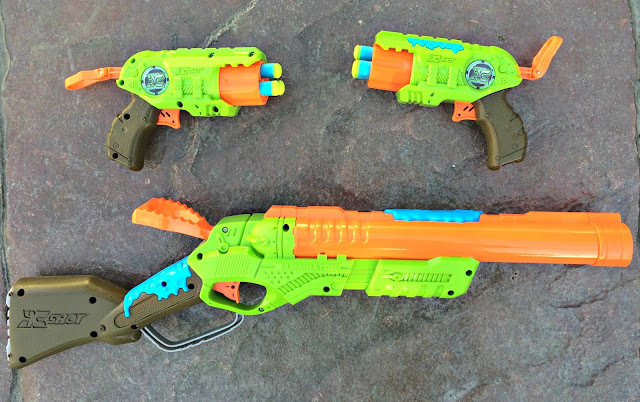 While it may take a bit longer to load these blasters than some of their competitors there also isn't the frustration of the toys locking up and darts breaking that often occurs with cartridge based ones. Two or three shot before having to reload really isn't that bad. The extra step of having to pull an action handle before pulling the triggers is also a nice safe guard to avoid an accidental shot that could damage something or hit someone in the face. 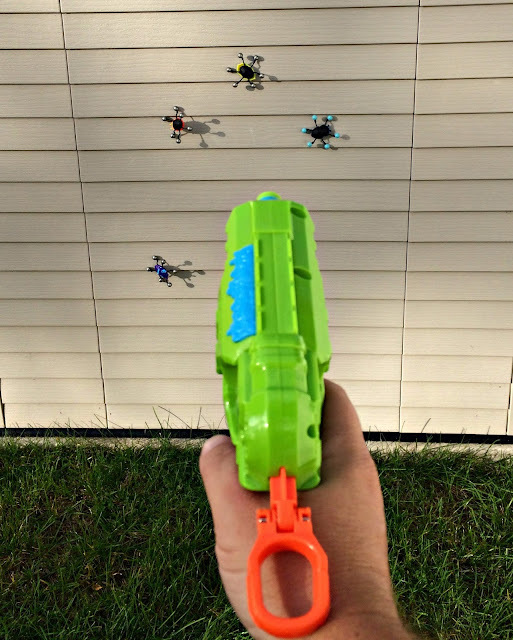 The X-SHOT dart blasters have some nice oompfh to them allowing users to hit targets from a decent distance with plenty of power to knock one of the clinging bugs off a wall. 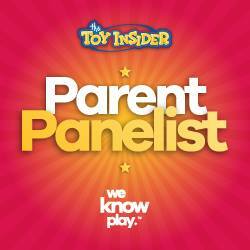 They're also very capable of holding their own in a backyard battle against other foam dart toy brands. Bug Attack is a unique take on foam dart toys that lets X-SHOT stand out and provides a lot of fun. I also like that it provides some truly amusing targets to shoot at as an alternative to kids firing at each other all the time when playing with these type of toys. Of course kids will be kids and these toys also have the capabilities to allow a child to be a formidable opponent in neighborhood dart battles.